As we celebrate the 128th birth anniversary of Babasaheb Dr. B.R. Ambedkar, his vision of emancipation of the oppressed and a secular democratic India is under an all-round attack by the BJP Government and Sangh Brigade. Today, as we are in the middle of general election, it is an extraordinary situation for our country and democracy. Communal casteist violence has now become almost an everyday national phenomenon. Educational, job and other opportunities for the marginalized sections are systematically snatched away by decimating reservations, labour laws are thoroughly diluted, fighters of social justice are incriminated and institutionally murdered – while perpetrators of casteist massacres roam free. In the BJP’s 2019 election manifesto, the entire RSS agenda has been incorporated; trademark key points of the Sangh like construction of Ram Mandir, scrapping of Article 370, amendment of the Citizenship Act and enforcement of Uniform Civil Code. This is almost an open declaration of the long-standing RSS goal of reshaping India as a Hindu Rashtra and revising India’s secular democratic Constitution to enforce Manusmriti as India’s dominant social charter. In 2016, Dalits were tied and flogged in full public view in Una. This was a part of the Sangh Parivar led terror campaign in the name of protecting cows. In 2017, after Yogi Adityanath was elected as the CM of UP, Dalit Village in Shabbirpur situated in Saharanpur was burnt down on Maharana Pratap Jayanti. Instead of taking action against the perpetrators of this casteist violence, the Yogi government of UP unleashed a crackdown on Bhim Army instead. Bhim Army leader Chandrashekhar Azad was arrested and NSA was charged against him. On 1st January, 2018, the Saffron gang unleashed attack on Dalits in Bhima Korgaon who gathered there to commemorate victory of Bahujans against Peshwai rule. Goons with saffron flag on hands were seen to attack Dalits. The masterminds of the Bhima Koregao anti-dalit attack Sambhaji Bhide and Milind Ekbote are well known acquaintances of the RSS-BJP. While they roam free, there is a targeted witch-hunt of human rights activists and vilification of Bhima Koregaon celebration by Dalits. The 2019 budget has seen 30% massive cut in the funding for scheme for SC – STs, comprising scholarships, financing for jobs etc from the current year’s estimated expenditure. The BJP Govt has also systematically scuttled reservation in higher educational institutions. The UGC had issued a notification dated 5th May, 2016 regarding M. Phil/PhD admissions. In the name of maintaining student-teacher ratio, what the regulation effectively has resulted into is massive seat-cut and decimation of reservation in M. Phil/PhD admission. Reservations in faculty recruitments were scuttled by making departments (13 point roaster) rather than the entire institution (200 point roaster) as the basis of reservation roster system. The country has seen massive and consistent protests for more than a year demanding the government to bring a law undoing the casteist 13 point roster. The BJP government continued to shift the blame to court and did not pass any law restoring 200 point roster till the last parliament session of this government. When the forces of social justice called for Bharat Bandh on the 5thof March, the BJP made a pre-election cabinet decision of ordinance restoring the old roster system. Very recently, in a shocking order, the Supreme Court ordered eviction of all those families whose claims under the Forest Rights Act had been rejected by the authorities. As a result of which some nearly 20 lakh Adivasi households countrywide face eviction. It is the Modi Government’ silence in court that allowed this shocking crime to get judicial sanction. While the Prime Minister orchestrates the drama of washing feet of sanitation workers, survey shows one sanitation worker dies in gutter every third day in the country. Crores of rupees have been spent on propaganda of Swach Bharat, but not a single paisa has been spent for rehabilitation of Sanitation Workers forced in Manual Scavenging. In this crucial juncture, let us recall, how prophetically Babasaheb warned “If Hindu Raj does become a fact, it will no doubt be the greatest calamity for this country. It is a menace to liberty, equality and fraternity. On that account it is incompatible with democracy. 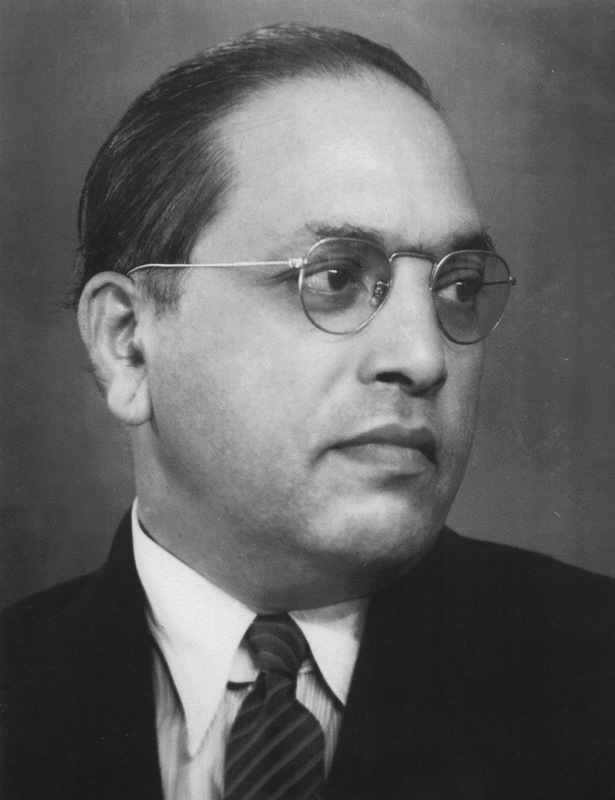 Hindu Raj must be prevented at any cost.” Today, we must carry forward Dr. Ambedkar’s ideas of annihilation of caste, emancipation of the oppressed, and principles of secularism and democracy enshrined in our Constitution. We must unitedly resist the communal casteist saffron brigade to save our Constitution and country. This entry was posted in Pamphlet and tagged Ambedkar Jayanti. Bookmark the permalink.